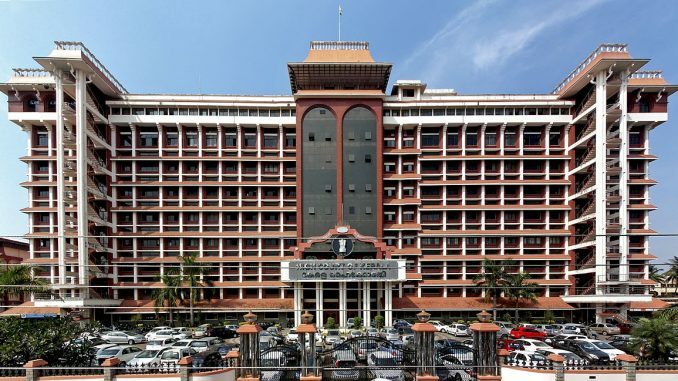 THIRUVANANTHAPURAM: Studies and politics cannot go together, the Kerala High Court said in an unusual order today that also contended protests, Satyagraha and hunger strikes did not have a place in a constitutional democracy, especially in academic institutions. The court told colleges in the state that they were free to expel and rusticate students who indulged in politics in educational institutions. The court’s argument was that if someone had a legitimate grievance, there were various avenues available within the system that they could use to address them. If nothing else worked, they could approach the court. “The very fact that people resort to dharna/hunger strike shows that they themselves are aware that their demands are not legal or legitimate,” the two-judge bench headed by the Chief Justice Navaniti Prasad Singh concluded in its interim order. Sitaram Yechury, senior Communist Party of India (Marxist) leader was the first senior politician to question the court’s observations. “Gandhi called upon students to join Civil Disobedience movement for freedom and nation-building,” Mr Yechury said, tweeting his rejoinder to the court that appeared to treat student politics as “anarchy”. “It shapes the consciousness of our youth, channelises their energy for creating and security a Better India” he said, cautioning that to stifle the youth’s ideas is to “destroy India’s potential”. The court’s had order came on a petition by a private college in Mallapuram district, 350 km from state capital Thiruvananthapuram, which wanted police protection to keep peace in the college where students have been on protest. The court responded with restrictions on political activities on campus. It also held out a warning for the college’s students’ union leader, a computer science undergraduate. The judges “cautioned” the 20-year-old to concentrate on his studies rather than indulge in politics in the college premises. Or he may withdraw from the college to continue his political career if he so chooses. “But that two cannot go together. The choice is his,” the court said, serving an ultimatum on the student leader. This isn’t the first time that the high court has spoken about restrictions on campus politics. Not for the same logic, but the high court had given private college managements the power to ban political activities within the campus back in 2003 and told the government to come up with a similar rule for colleges run by the State. In 2014, the state government had told the court that it was going to ban campus politics from its colleges too and student unions would only be allowed to function with permission of the principal. The state government had also given the principal the right to install CCTV cameras on the campus to maintain discipline.